signup for a WP Apprentice membership. 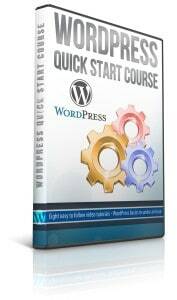 In this video you’ll learn how to create a WordPress Page. Pages and posts are the two most common content types you’ll use in WordPress. If you’re still not clear on when to use each type of content, be sure to watch the video where I explained the difference between posts and pages. If you’re not yet up to speed on the WordPress post editing environment, all of the basics are included in this video on how to write a WordPress post. Also referenced in this video is the tutorial on creating custom WordPress menus. Just wanted to leave a Thank You. Informative videos that are nice clear and which are easy on the eye and ear. May I suggest a video on navigation of the website. Since most bloggers design the website themselves it might be useful to explain how the navigation options for the website with menubars that are page or category based and sidebar widget for pages, categories and tags. I want to know how to write a comple page with various sections like this page. Show us how to write one of your pages with the menu’s. @craig – The sections and menus are part of the WordPress theme. Like most CMS systems, WordPress separates content from presentation. When you create a page in WordPress you’re really just creating the content section of the page. The rest of the page is generated by the Theme. See the video on WordPress themes for more detail. What software did you use for the training videos? I am looking for something that would have that circle highlight feature that you use. Thank you. @gary – These videos were made with a Mac program called Screenflow. If you’re using Windows the closest equivalent would be Camtasia. This is informative but I got stuck on the Page Atributes section as you don’t explain how to create a Parent page. On the Parent pull down the parent page is already created. Parent pages are just regular pages. Any page can be a parent. 1. My permalinks do not display in a file path fashion — about/privacypolicy/ — as yours do. Instead, it simply has details like — /?page_id=11 –. 2. Under page attributes, I have the parent and order options, but no theme option. I’m using the Twentythirteen package. Is that option just not available with Twentythirteeen activated? 1. You need to customize your permalink settings. See the lesson on Permalinks for more details. 2. The Page Attributes box will show Parent, Order, and sometimes Template, but only when the installed theme offers additional page templates. Twenty Thirteen doesn’t have include any page templates. Try Twenty Twelve and you should see the template option. Thanks, Kirk. I’m learning a lot from your instruction. It’s very reassuring to know that you’re monitoring the comments section and offering prompt follow-ups. Is there any way to be notified by email when you’ve responded to a question? Currently, I’m having to make notes to remind myself of what questions I asked and where I asked them. Then I have to periodically re-visit that lesson to see if you’ve posted a response. It’s not a major problem for me, but it would help a lot if there was an auto-notification option available. Thanks again for your timely attention to our questions. Each lesson is connected to a topic in the forums. Comments on each lesson are duplicated there and it’s possible to signup for notifications on each forum thread. Why have both? Well, some members prefer comments and some prefer forums. That said, I’m in the process of developing a new member portal (should be online in the next week or so) and there will be some changes to simplify this structure along with new notification options.